On the left side of the painting his image as a dark shadowy figure. I think he is the shadow in the back. Ahh I see that litt twerp running out the back door! 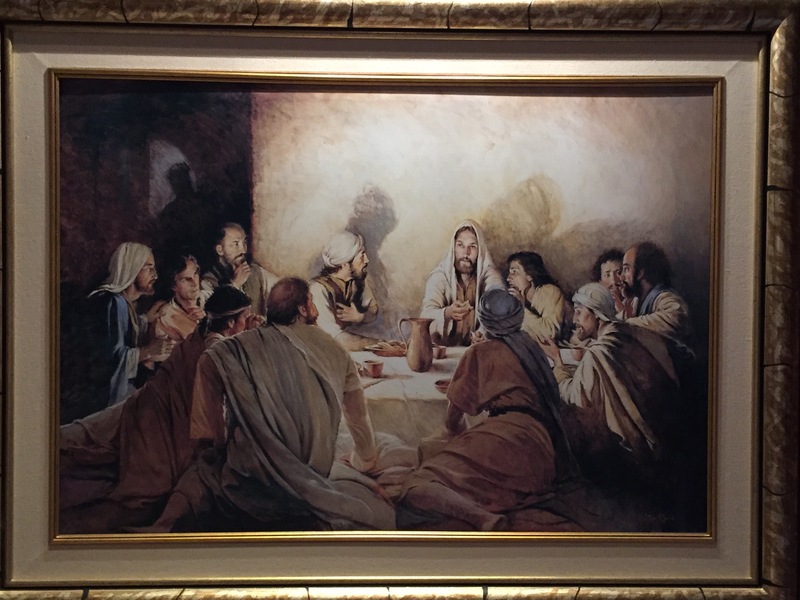 Looking at all the shadows, the light source has to be on the table which makes the shadow on the wall to the left, that of the apostle sitting at the left far corner of the table. Perhaps the painting is after Judas departed. Judas’ shadow is in the doorway, all that’s left after his departure. I think the light source is on the table, where the consecrated bread and wine, Our Lord’s Body and Blood, are now in place.